Swoosh! In the world of spiritual sense, Xu Yangyi’s surroundings churned with white fog. Everything was a pale expanse. He took a deep breath, and his fists tightened. Even though this was his first time here, in his mind, he still understood with exceptional clarity that this was his spiritual sense. The surrounding sea of fog, all of it was his. This was just like a kind of law, deeply engraved into his mind. He tried out the Ten Cardinals Red Lotus, Falling Moon, and so on, but so long as anything was related to qi it was completely ineffective. Yet across from him, Zhuang Zhou, or perhaps it could be said the Godseal Spark, was already flapping its two wings. A soaring, ominous glint fired out from its delicate compound eyes. This was a war to devour one another. There was no victory or defeat. Only life and death. This was the bloodiness and frankness of a spiritual sense battle. “HISS!! !” the butterfly reared back and screeched, its voice shaking the area. In the next second, it was without fear of death. The clouds filling the sky all moved and madly rushed Xu Yangyi! Xu Yangyi didn’t retreat. Along with his ten-odd years of rage, he charged forth like a fierce tiger! Swoosh! Human and demon, like two clouds, violently collided together. The clouds everywhere loudly groaned! Hum… In the droning sound, Xu Yangyi wasn’t apprehensive one bit. Both his hands immediately tore at Zhuang Zhou’s wing! Zhuang Zhou screeched, a huge mouth unexpectedly appearing at its tail end. The maw was dense with jagged rows of sharp teeth. Without a moment’s delay, the butterfly chomped at Xu Yangyi’s abdomen! Bang! Bang! Almost in sync, both parties seized each other’s vitals. As they clashed simultaneously… a tearing sensation so piercingly dreadful quaked throughout Xu Yangyi’s entire body! This… was the feeling of spiritual sense being rended apart. It was like a million blades had been shoved into him, scraping inch after inch of his flesh. Even with his durability, he still couldn’t help but fling his head back and snarl! Across from him, Zhuang Zhou likewise shrieked wildly. A devouring was a mutual infliction of pain. The pain wasn’t minor, either! Bang! Both sides crossed hands and returned to their original positions. Xu Yangyi clenched his teeth hard, clutching at his stomach. A gap had already been torn out here. Were it his fleshly body, the injury would’ve long since been drenched in blood. Yet a large section of Zhuang Zhou’s wing had been ripped apart as well. The butterfly was even rolling on the ground in pain! Two compound eyes glared daggers at Xu Yangyi, with an ominous glint thirsting for blood. “Pant… Pant…” Xu Yangyi gritted his teeth and gasped for air, quivering as he stood up. He screamed loudly and charged forward a second time without the slightest misgiving! Here, no qi whatsoever could be used. Only physique arts were available, as well as the most primitive grappling! “HISS!” In kind, Zhuang Zhou exploded with a world-shaking roar. Its two wings danced and unyieldingly forged ahead! Thump… In the outside world, the wind finally stirred the weather all around after Xu Yangyi’s 99th heartbeat! To the four directions and eight reaches, black clouds all condensed together! At this moment, the white of dawn had already emerged in the sky. Venus was rising. However, even brighter starlight wouldn’t be able to penetrate the black cloud. In the sky, the black cloud spun and took the shape of an enormous ink-colored funnel. Vast stretches of the sky were pitch-black, like a hell that the sun’s rays couldn’t reach. Silence. Deathly silence. Great stifling dread, like the unseen claws of a devil, captured everyone’s hearts. Swoosh… Suddenly, a hole was exposed in the black cloud. Afterwards, a strange blood-red light spilled down! Noble as they were, the world’s apex, they knew much, much more than other people. Here and now… a legend that hadn’t emerged already for centuries… a legend merely spread among the most apex human and demon clans, appeared in both their hearts at the same time. “Clan Elder… what’s that?” Nalan Yanran lowly asked beside her. Before his voice even fell, he heard the old woman-spider’s excitedly trembling voice. Nalan Yanran’s lips formed a thin line, and he nodded towards everyone. All of the Nalan Clan wordlessly kneeled. The Crimson Rakshasa’s voice was raspy, tears streaming down her aged face. Unexpectedly, she burst into wild laughter, zealotry like the most devout believer. Without warning, she loudly tapped her head against the ground three times! “Clan Elder?” Nalan Yanran was dazed. Why all of this? What secret did this moon hold? “A Pureblood Demon? !” A humming noise droned in Nalan Yanran’s mind, as if he had been pricked by a needle! He bolted up to his feet, but the Crimson Rakshasa slapped him without the slightest hesitation. There wasn’t a trace of discontent on Nalan Yanran’s feminine-looking face. He gasped sharply and kneeled in sincerity. As a demon cultivator, how could he not understand the implicit meaning of the words “Pureblood Demon”? A Pureblood Demon… was a legend of demon cultivators! Each Pureblood Demon carried a millennium’s worth of memories and a fleshly body of the utmost valiance! So long as one was given time, Core Formation was almost no question at all! Despite the fact that it was currently the End of Days! Even concerning the realms after Core Formation… their chances still exceeded the chances of ordinary people by far! They… were the true overlords of the olden days! Any single one of them were true monsters that left behind awesome and glorious names in history’s long river! Perhaps some were benevolent and some were evil, but they were all the same in one aspect, and that was their strength was powerful beyond imagination! 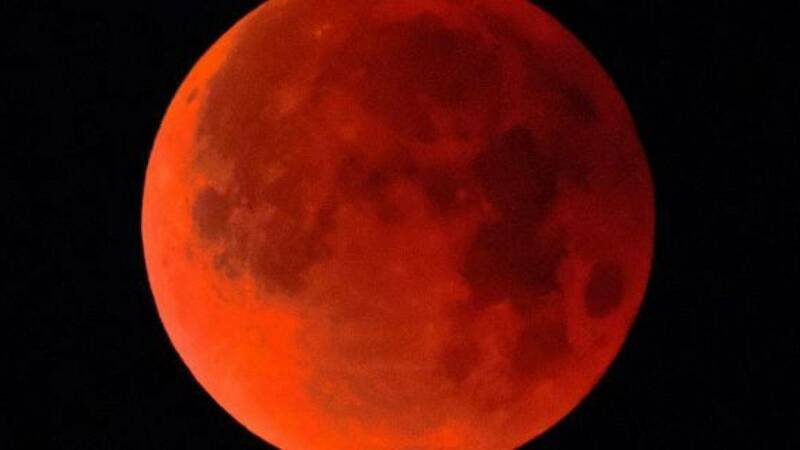 At this time, a second blood-red ray of moonlight quietly spilled down from the black clouds in the sky that resembled a black cloth with a hole in it. Soon, there was a third… a fourth! In less than a minute, all the black clouds dissipated. In the sky, above the stars, the Blood Moon was peerless! The moon was much larger than before! Just like it would collide with the Earth in the next second, it steadily hung in the air! However, this moon was the color of blood! The crimson color of blood! There were no stars that passed through it! Instead, the moon was in itself! Swoosh… Swoosh… Swoosh… In all of Nanzhou, wherever the eye reached, a blood sea overtook the sky! The world was shrouded in a scarlet shade of blood. As if heaven and earth was weeping! Ancientpine and Titanspirit shared a glance. Their hands couldn’t help but assume a battle-ready stance. Such heavy demonic qi! It practically consumed the entire world! Before his voice even fell, in the sky, the slumbering Xu Yangyi lifted his hand up without the slightest awareness. In this instant, the wind seemed to cease and the air seemed to freeze. Like the world had erased this second. In the next second… Xu Yangyi’s raised left hand crumbled apart into countless jade-green leaves! Each leaf was hundreds of meters in size! There was simply no end to them in sight! Next, his entire body followed! Endless green leaves sprouted out from his body! Sparkling and translucent, a scene of great magnificence! They covered the sky and blotted out the earth, enveloping all of Nanzhou! Swoosh swoosh swoosh! Xu Yangyi’s body has long since been drowned within the sea of green leaves! His figure had vanished and only green leaves filling the world madly grew! They blocked the moon, obstructed the stars, and plunged the human realm into darkness. “This…” Hiddenscent’s visage was shocked, but she immediately gasped! She saw… an old, withered branch, several green leaves tangled on the surface, screaming towards her! “Gasp…” she inhaled deeply. A Pureblood Demon? The branch was seemingly ordinary, yet she could smell the stench of death from it! Without any wasted words, her silhouette flickered and instantly transformed into thousands of snakes. Like lightning, she slithered away to another place, yet while she was fast… the seemingly slow branch was even faster! With unparalleled accuracy, it swept up one of the many snakes that made her form! “How is thisss posssible? !” the small snake hissed out in human speech. But in the next second, she abruptly discovered that a burst of sharp pain was wildly attacking her mind where she had been swept up! She had never experienced such pain. It ached a thousand times more than the injuries she’d previously sustained! Ten thousand times more! “This…” She turned her head in amazement, her triangular head aimed straight at her body. She discovered to her awe that any place on her body swept by the branch had already turned pitch-black! Completely rotted! Right now, Xu Yangyi had actually caused wounds on she who had a Core Formation body!